To complement our range of high quality vehicle spares, we also offer an extensive selection of cleaning products, screen wash, antifreeze, and tools, as well as towing equipment, fuel additives, number plates and even battery chargers. 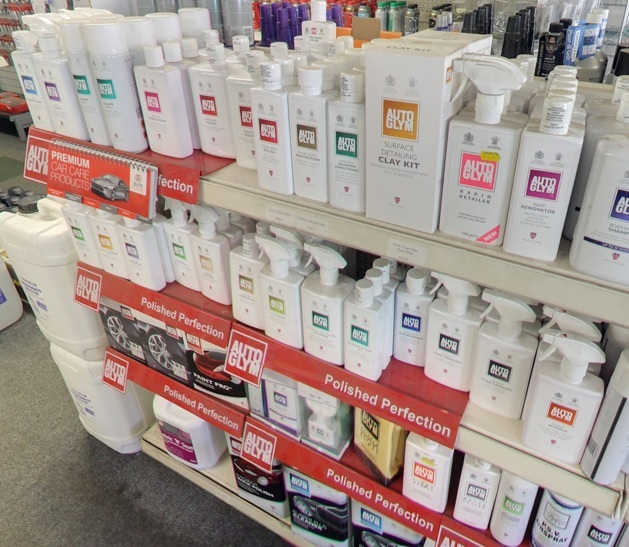 With all of our products coming from big name brands like Pro Tec and Autoglym, there’s no need to go anywhere else for top quality products. For that extra sense of satisfaction and security, take advantage of the fact that all of our products come fully guaranteed.